TriFuelMonthly fuels your body. This month we fuel your mind too. When this time of year comes around, most triathletes have put in a lot of miles. The temperature outside is starting to make training harder. If you are going for a 70.3 or 140.6 this year, your mileage is really adding up now. Sometimes the toughest part is just convincing yourself to step out the door for that next workout. Maybe it's time to put some attention to your mental training. Here is the perfect way to do it. 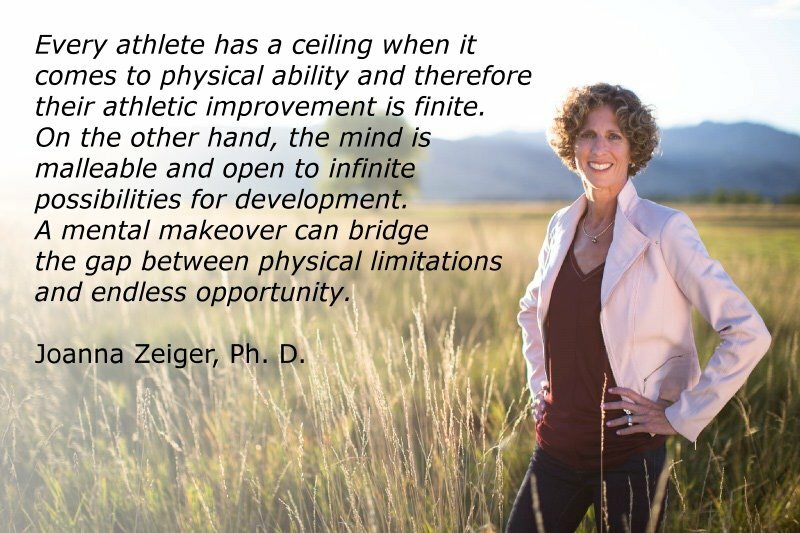 Take a rest day or two and settle in with The Champion Mindset by 2000 Olympian and 2008 70.3 World Champion Joanna Zeiger, Ph.D.
Now I've been a fan of Joanna Zeiger for a long time. 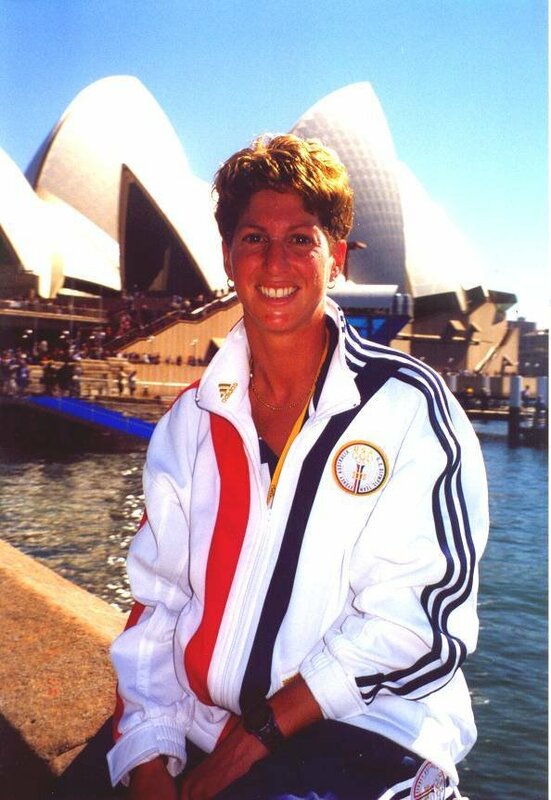 I was glued to my television for the 2000 Olympics in Sydney, Australia as Triathlon made its debut. Olympic triathlon is different than the non-drafting events most in the U.S. are familiar with. The head to head drafting format is very exciting to watch with top places often being separated by fractions of a second. And in 2000 there was Zeiger fighting for a podium spot. Later that same year she was doing the same thing at the Ironman World Championship in Hawaii. Clearly this athlete has the right stuff, eh? Through the 2000's she continued to podium at races around the world. 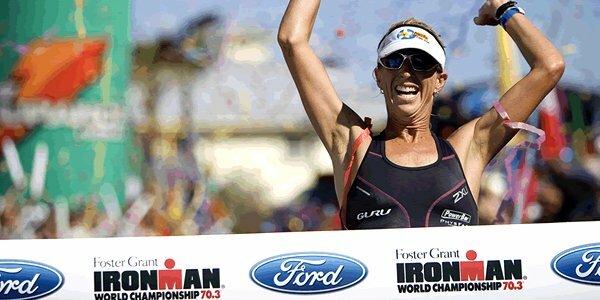 In 2008 she achieved her highest athletic accomplishment with gold at the 70.3 World Championships. Her qualifications for writing a book about mental toughness are indisputable. 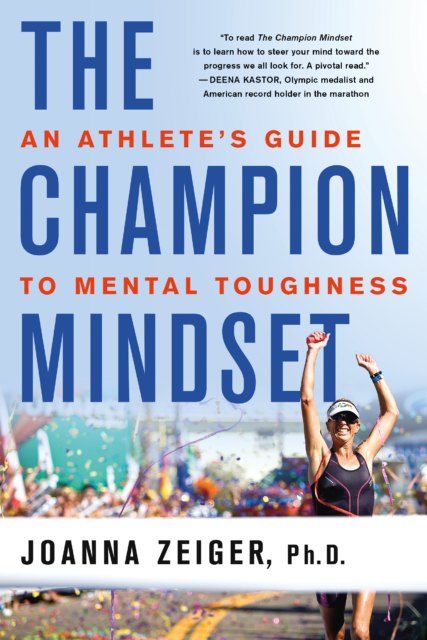 The Champion Mindset: An Athlete’s Guide to Mental Toughness is a long overdue look into how to program a competitor’s mind to achieve optimal success. Changing behaviors and ways of thinking are never easy, but the chapters in this book aim to simplify this process to make it manageable and achievable. Like nutrition, the mental aspect of training may be neglected by online coaching programs and even by personal coaches sometimes. This book will help you take control of training your mind. With a strong mental outlook, as the hours and miles stack up, you can maintain your focus all the way to the finish line. This book is for every athlete—from the weekend warrior, who wants to compete in his or her first 5k running race, to those who have aspirations of one day becoming Olympians and world champions. This book presents unique concepts (e.g. racing syzygy, confidence cycle, hourglass of hope) and fun ways to identify your mental toughness strengths and weaknesses (quizzes to determine your mental toughness and your levels of perfectionism and hope). Participate in endurance sports long enough and it implants itself into your very being, its essence coursing through your veins like blood. Well that just makes it sound like EPO for your mind, doesn't it? Subscribe this month and you'll get a signed copy of The Champion Mindset ... aka EPO for your mind. It's perfectly legal! !